Hi, it's time for a sneak peek at one of the fab October stamp sets for The Alley Way Stamps. I used a set called It's Fall About You, using the leaf image and sentiment. Make sure you head over the TAWS blog to see other peeks from the design team and for GIVEAWAYS!!! Thanks for stopping by today, hope to see you tomorrow for the TAWS blog hop and the chance to win all three new sets! Great card! Love the shine/shimmer you added! 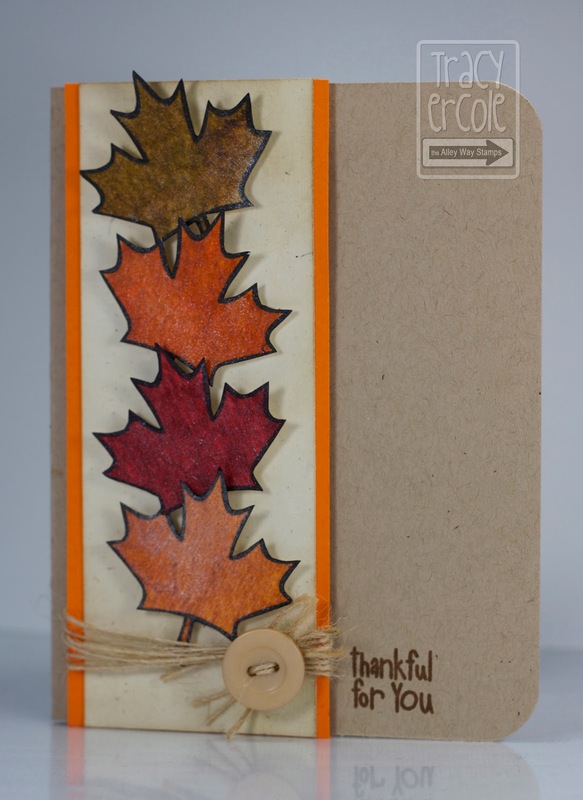 Very sweet fall card Tracy!